My 4th attempt. What's with me and the air-travel theme? Gotta stop! 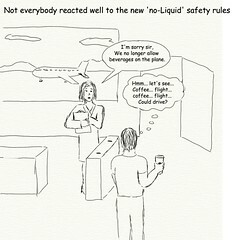 Only got around to posting this today, after they announced they'd be relaxing the no-liquids rule. Thank goodness!